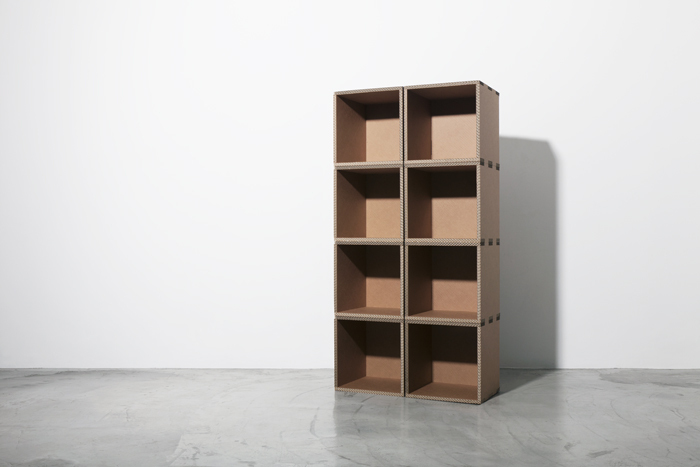 Shelf made by cardboard that like a puzzle Typically, bookshelf is a shelf (furniture) for books. 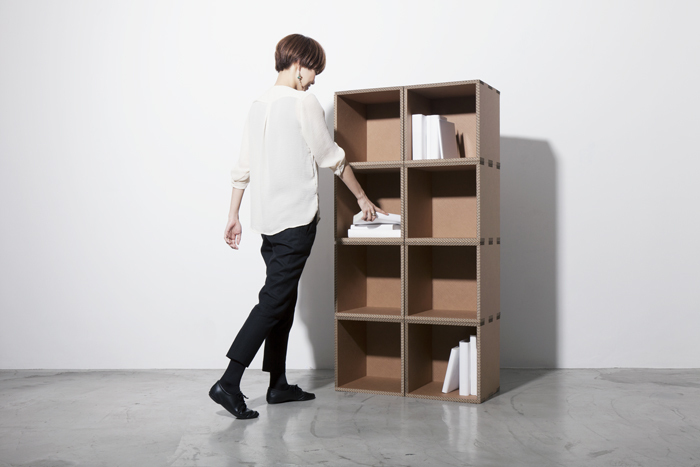 We think bookshelf can have more functions with transform its figure. Not fixed function as bookshelf, change function into bench, or into low shelf. The shelf made by cardboard and is very light. So it’ s easy to change usage with your lifestyle. 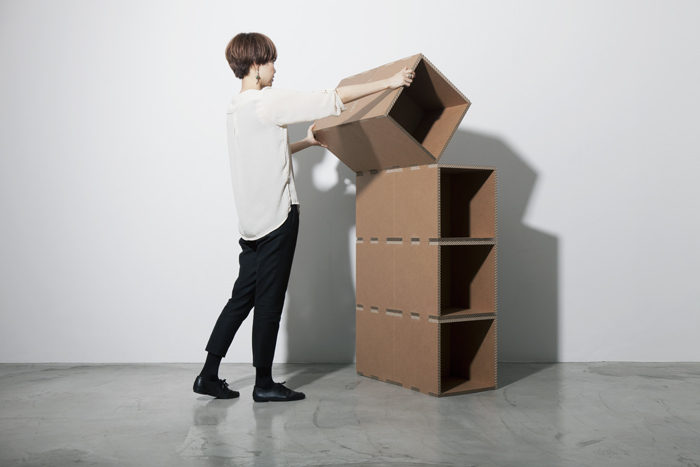 We propose the furniture like toys!